On Tuesday night on the Comedy Central political comedy show the Colbert Report, host Stephen Colbert interviewed Maryland Congresswoman Donna Edwards. Edwards is the congresswoman out where FedEx Field is. 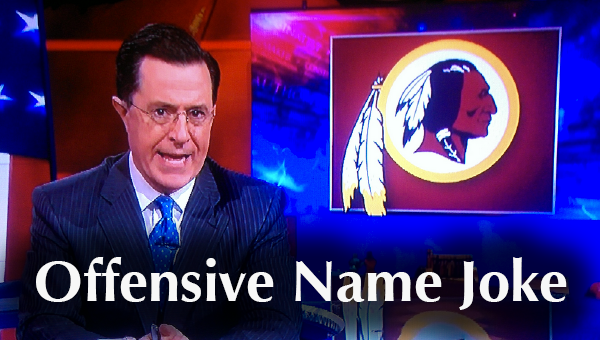 Check out the Colbert joke about the Redskins name. "Maryland's 4th also includes FedEx Field, home of the Washington Redskins, THE most offensive name in professional sports other than the Arizona Asian Kids Are Good At Math"